After we left Vancouver we did not really know which way we should drive. It was the 10th of June and we wanted to start all the way down to New York on the 24th of June, so we had only 14 days for little Canada. Jan’s origin route from Vancouver via Anchorage to Yellowknife was killed by Verena quickly. This meant to drive more than 10.000 km – too long for only three weeks. We wanted to see the beautiful country, lots of wildlife, especially bears and Jan needed some sportsbars on the way to watch the soccer world cup! He could remember as it would have happened yesterday when he travelled Australia’s West coast together with Hendrik in 1998 and nobody was interested in soccer the Aussies showed Formula 1 even during the final when France bet Brazil 3:0! Jan could not believe that … well whatever … we asked the locals for the best route, but everybody told us a different story. Go left, go right, go north go south, finally we took the road passing the most national parks on the way. It was a 500 km dead end road from Williams Lake to Bella Coola but the way was absolutely worth it. We saw about 12 bears, black colored black bears, brown colored black bears and a mom with their cute cubs on our way. Only the Grizzly was missing. Well there are about 160.000 black bears in the region of British Columbia and Alberta but only about 13.000 Grizzlies. So may be this was the reason, but wait! What was that on the road? A big brown-grey bear with a hump on his back – a Grizzly!! 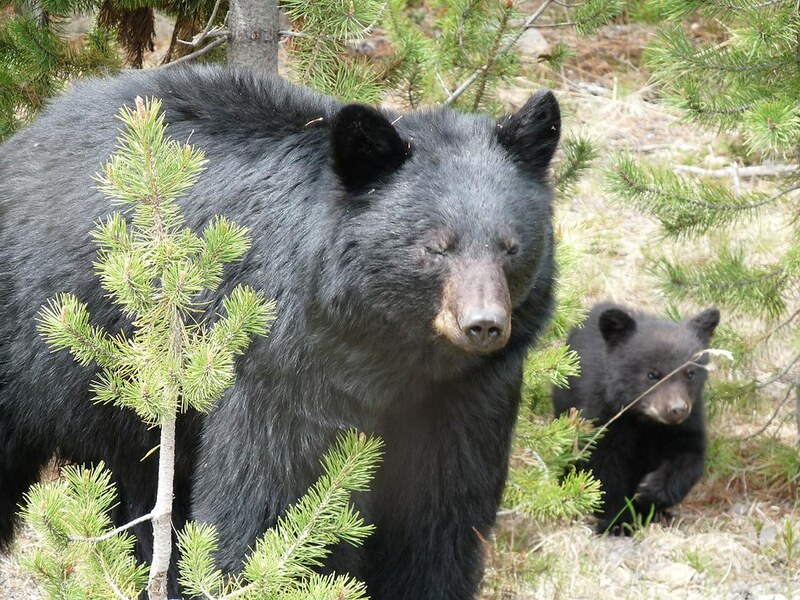 Followed by two cubs, bigger than the first black bear kids but still playful and cute. What a lucky strike! Only the mosquitoes coming around when we stopped the car for more than five minutes were annoying.